#Utah | Dude, Where's My Pancreas? Five year pancreatic cancer survivor. Weird but never boring. I just finished a 100 mile race. What’s next? I had a CT scan on Monday, June 15. I picked up a copy of the report and the big news is that it says “no masses”. This is awesome! I have now made it 19 months past my surgery and diagnosis without a recurrence of pancreatic cancer. June 16 also marked one year since I finished chemotherapy. I cannot believe all of the good things that have happened in this past year. It has gone by so quickly and has been simply amazing. My family and I are understandably feeling quite ecstatically happy about my good health. I don’t necessarily feel like I am beating the odds, though I suppose I am. Rather, it feels like this is how things are “supposed” to be for me and for us. I was not supposed to have cancer in the first place. I am supposed to be here, happy and healthy.While the future was once in doubt, now I make plans without really giving it too much thought. 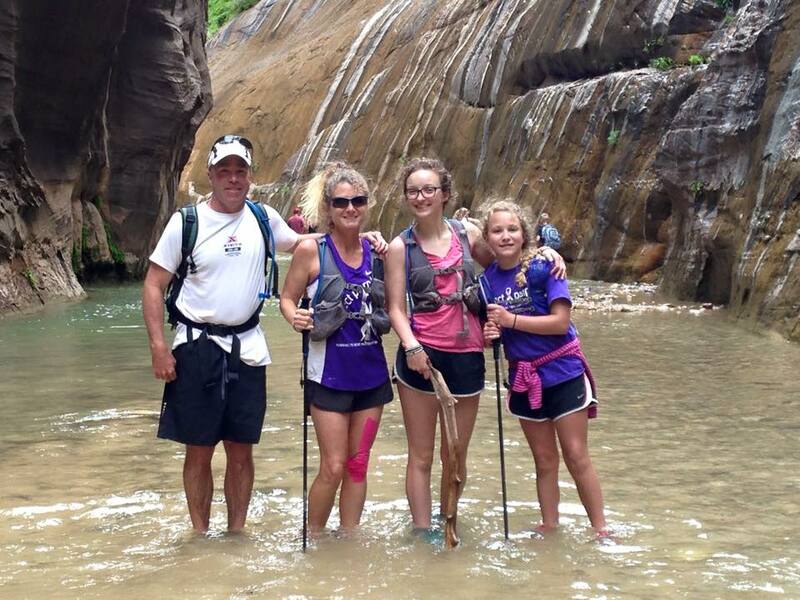 It has been 2 weeks since I finished the Bryce Canyon 100 in Utah. 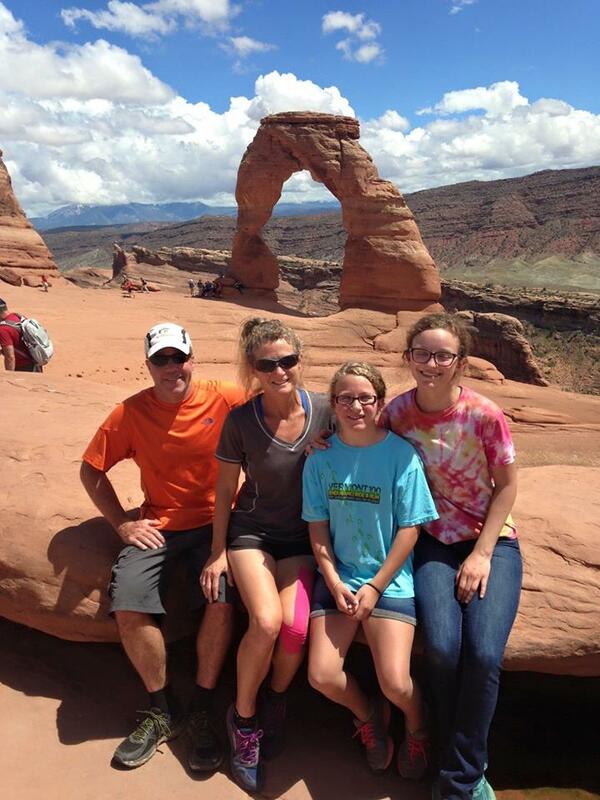 Immediately following the race, our family spent several days touring some of the National Parks in Utah. This was the first vacation we have taken in a very long time and it felt like a fitting end to the ordeal of the last 19 months. 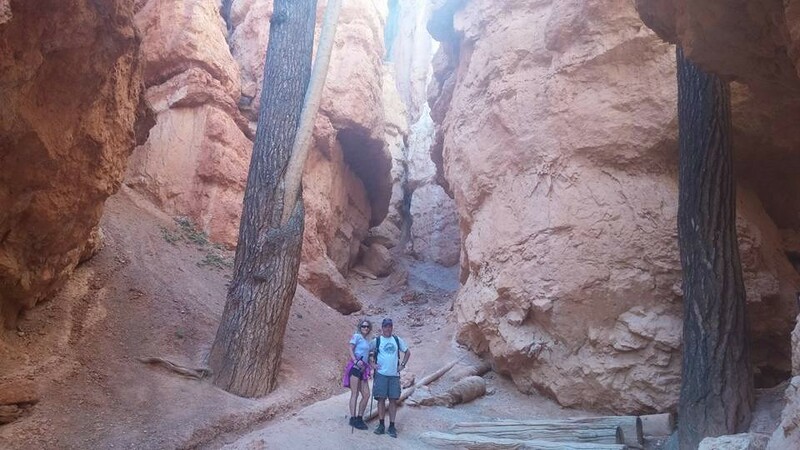 I was pleased to find that I was feeling well enough to do a series of small hikes in the national parks.Tour guide Peyton informed us that Bryce is actually not a canyon. It is a series of rock amphitheaters. 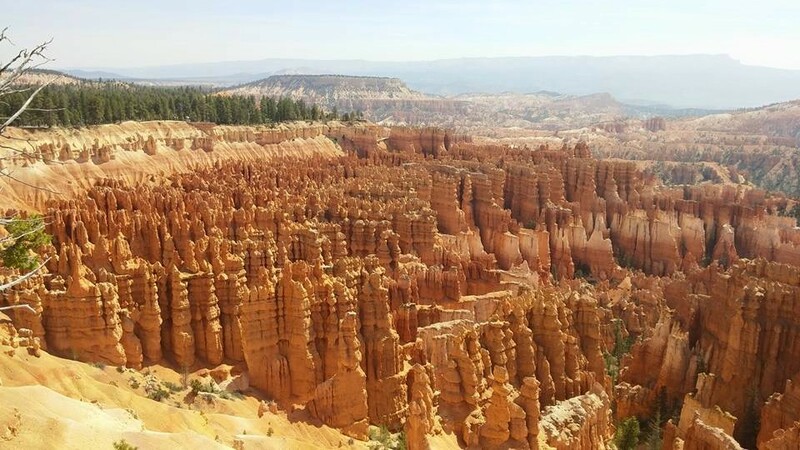 We loved the hoodoo rock formations of Bryce Canyon. There are completely unique from anything we have seen anywhere else. 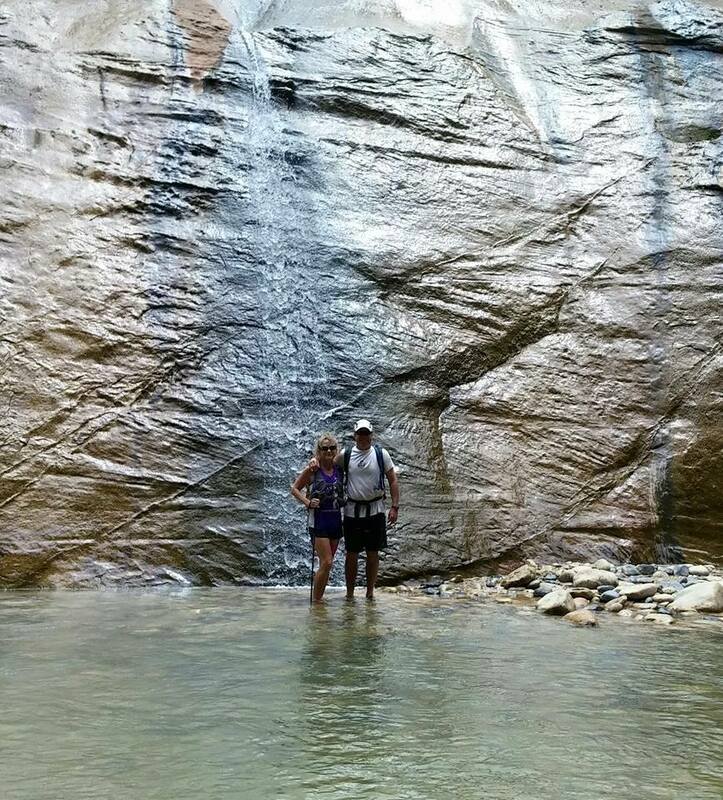 We moved onto Zion National Park following our time in Bryce. Zion is completely different. It is a canyon and gets very hot. It is beautiful in a completely different way from Bryce. 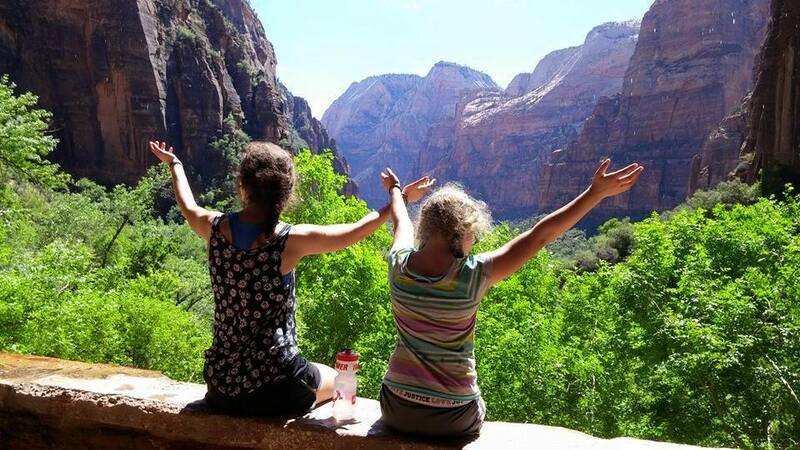 The girls under the weeping rock, looking out towards the canyon. 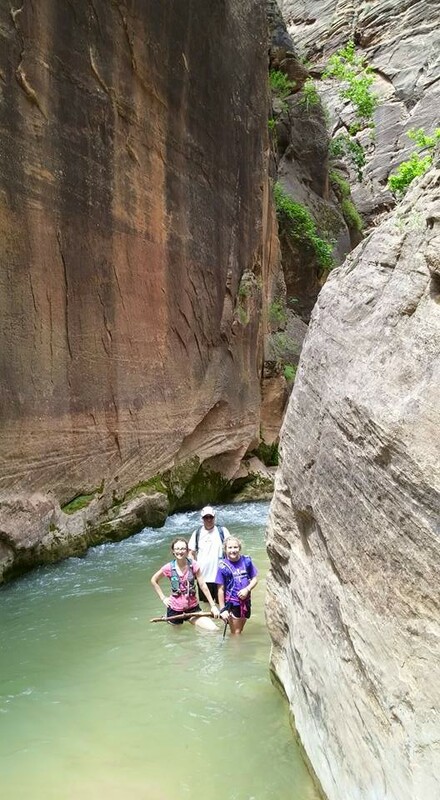 We hiked up some of the Narrows “trail”, which actually just goes up the Virgin River through the canyon. 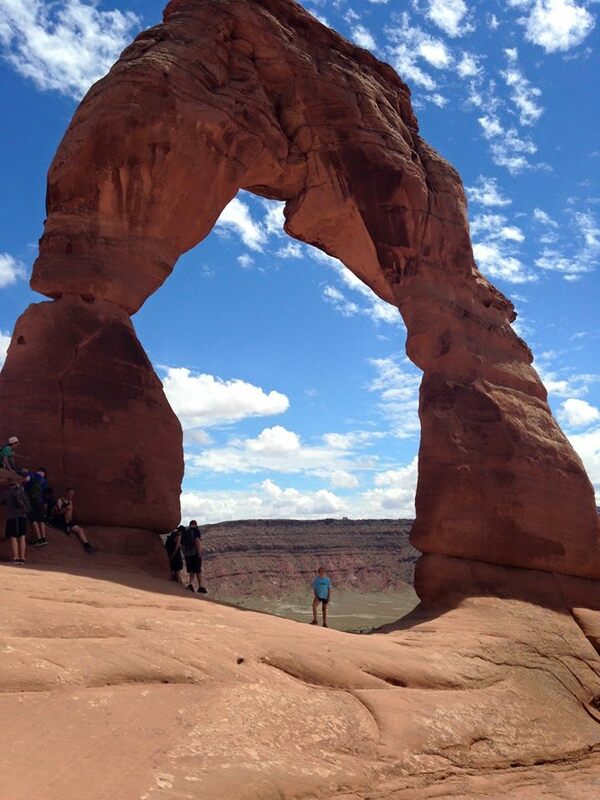 Finally, we moved on to Moab and visited Arches National Park. We came home tired and happy. It was so nice to get away together. We even survived five days in one small hotel room without killing each other. When we got home, it was time to hit the ground running with real life. Steve signed up to run the Pikes Peak double this year. 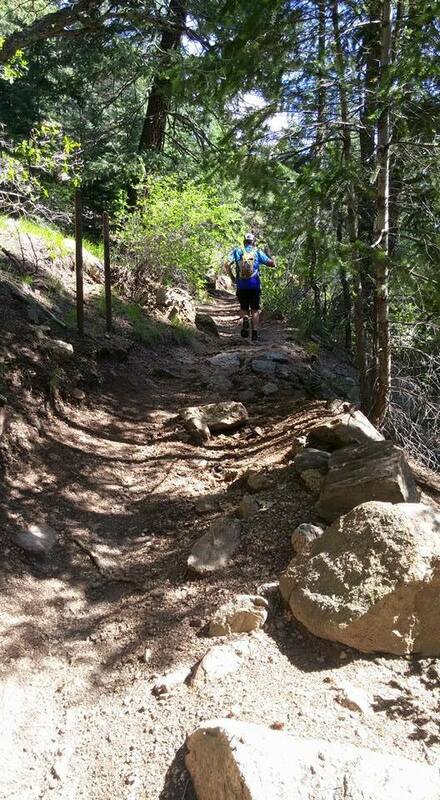 He will run the Pikes Peak Ascent on Saturday of race weekend and then run the full marathon on Sunday. For those who are unfamiliar with the race, it goes up Barr Trail to the top of Pikes Peak, a 14,115 foot mountain just outside of Colorado Springs. You can read more about the race at the website below. Steve has been training with me for the Bryce 100 for months now. I always feel so lucky that my husband and I can spend time running together. While it could be difficult when the kids were little because we both wanted to run, it has always been something that we have shared and bonded over. I never wanted the kind of relationship where one of our passions or athletic pursuits trumped the other person’s. I see couples where one person runs and races all of the time and the spouse simply follows along and takes care of the kids. I know for some couples, this arrangement works well for them. But I love the fact that Steve and I spend time training together and that we take turns supporting one another’s athletic endeavors. We share our passion and truly encourage one another in pursuing the events and distances we truly love. He supported my Bryce venture 100%. Now I get to support his Pikes Peak double 100% and I am grateful to be able to do so. Steve leaving me in the dust on his first real training run for the Pikes Peak Double. A lot of times after completing a big goal race, I experience a bit of an emotional let down. After months and months of preparation, followed by completion of the event, I often find myself thinking, “Now what?” So far, I haven’t really had that post-race funk sink in. I am not sure why. I know immediately after finishing Bryce, I started thinking, “What race can I run next?” There really is such a emotional, psychological and physical high that comes from a successful race. It is easy to fall into the trap of chasing that feeling. If I had my way three days after the 100, I probably would have signed myself up for five more races. Instead, I decided to slow down and rein myself in a bit. I know there are people who race constantly all year long. If they have jobs and families and can still make it work with their sanity and relationships intact, then I am in awe. I try to target a couple of big races per year and find that is really all I logistically do and still work and be a good wife and parent. Maybe that takes my badass credibility down a couple of notches, but that is OK with me. I don’t need to be a badass. I only need to be honest with myself about what I can successfully manage in my life. I am most proud when I feel like I am doing a good job balancing all of the roles I play. I know I will eventually have to have another epic race on the horizon. 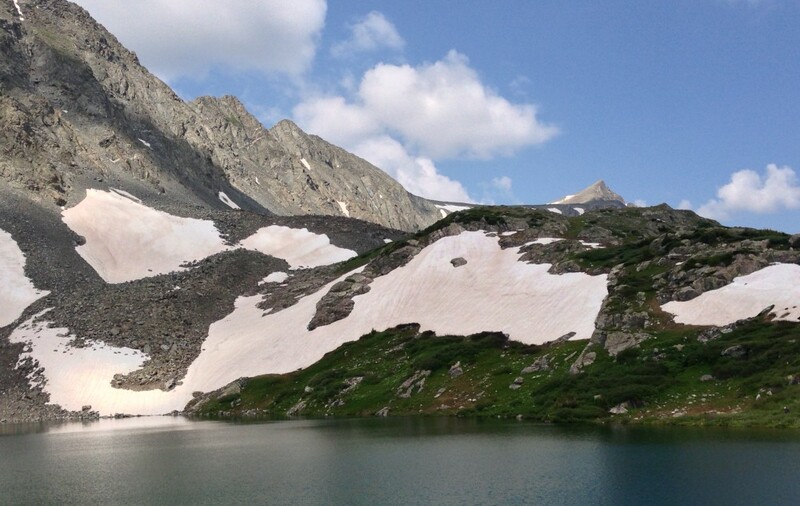 Right now I just want to have some fun with my running and enjoy some mental and physical recovery and rejuvenation. I plan to run the Denver Rock n Roll Marathon with Project Purple in October and I am looking forward to sharing training runs with my teammates. 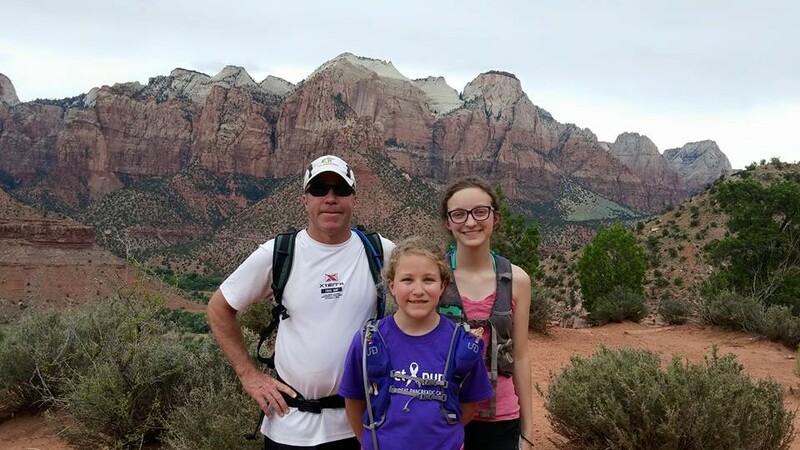 I have a couple of other trail/ultra races I am eyeing, but I really want to support my husband in his upcoming races and I do not want to miss out on Riley’s senior year of high school. We have started the summer college tour and interview process and I know that in the blink of an eye my baby will no longer be living with me. For now, I continue to reflect back on the Bryce experience and think about how truly incredible it was for me. Instead of being consumed by what I feel I need to do next, I am trying to simply enjoy all of the wonderful experiences of the last couple of weeks. For endurance athletes, there seems to be this insistence that we always have to constantly outdo what we have already done. I think that in many cases, it boils down to the need to chase that high. Right now, I am resisting that urge to compulsively chase the high of big ultra endurance events. I am really focusing on taking some time to breathe and celebrate my life and my accomplishments. I will, of course, pursue other races down the line, but for a little while, my goal is to support my family as they work towards fulfilling some of their own dreams. I will cheer on my husband at Pikes Peak. I will soak in all of those memorable “last times” with my high school senior. I will focus on making some good memories with friends and family over the summer. I will run simply for the joy that running brings me. Finally, I wanted to say a special “Thank You!” to Arianne Brown for the nice article on KSL.com about my Bryce adventure.